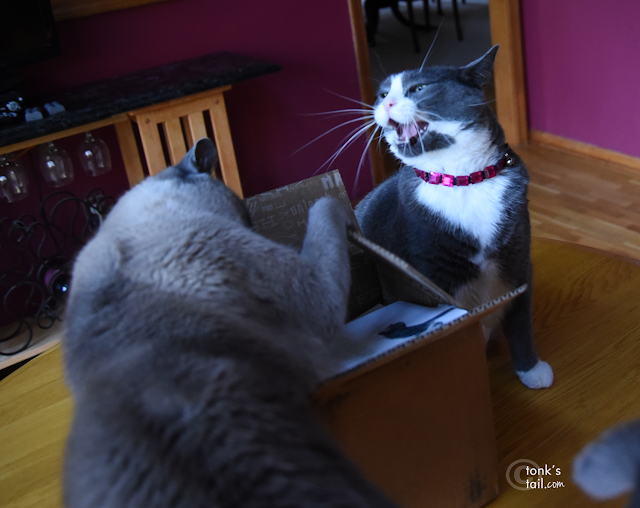 A Tonk's Tail... err, Tale...: You don't mess with a girlcat's box. Remember the photo of Allie and her box from Wednesday ? 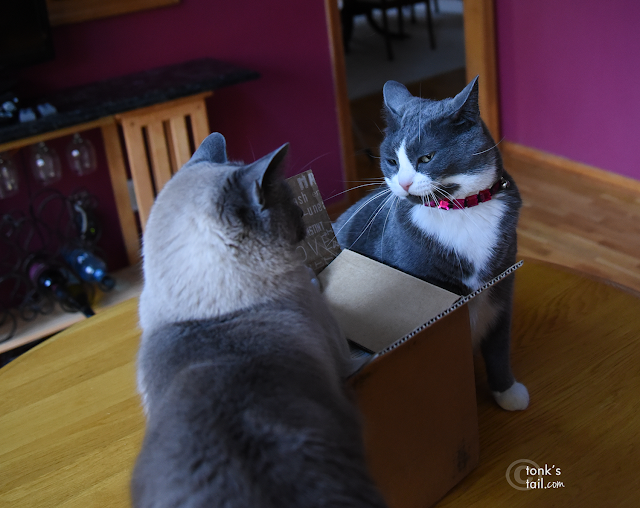 Allie: You're breathing on my box, Maxie. Maxwell: It's a free world, Allie, I can breathe wherever I want to. Allie: I recognize that expression, Maxie. 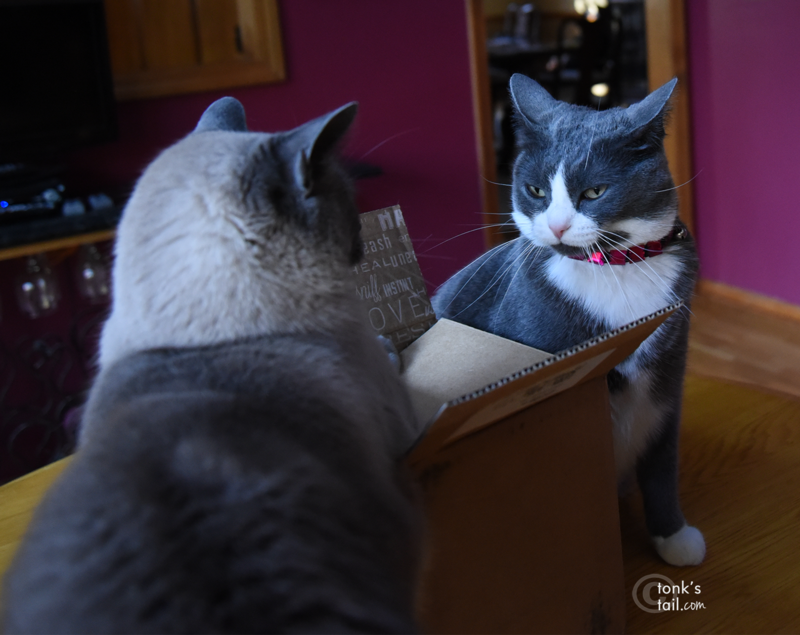 Don't even think about touching my box. Allie: GET THAT PAW DOWN! NOW! Maxwell: Seriously, Allie, that's harsh. Allie: Just keep your distance and no one gets hurt. 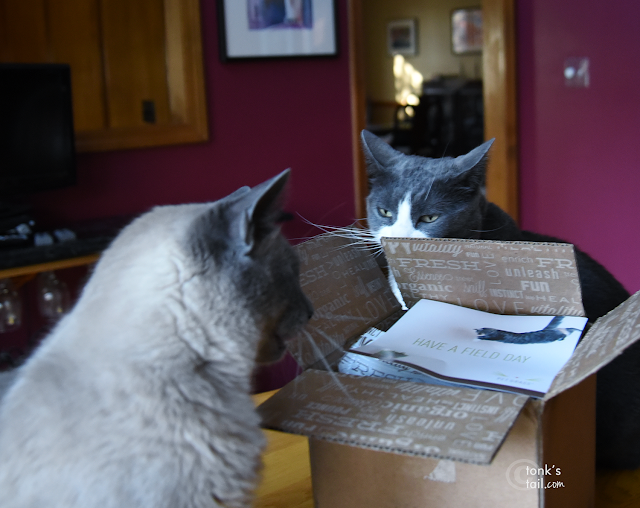 You stick to your...er... paws Allie, that box looks way to good for the boys, well for the moment at least! THat looks like a group box, dare we say? Max, I wouldn't mess with Allie if I were you! OH yes Allie, yes they do! Wow! Allie does a good stink eye, Maxwell. I think I would keep well clear if I were you. We think girlcats rule here too! Squeeee! Allie you simply must write about how you trained to get those looks...your eye work is expert!